Looking for a USED MCD1516-5XA? 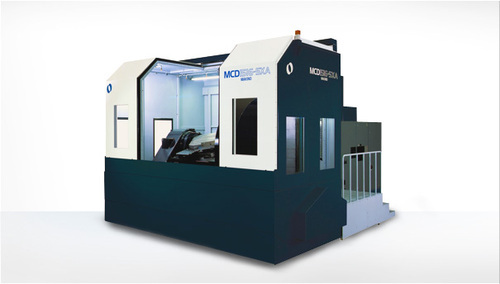 A 5-axis control horizontal machining center, the MCD1516-5XA features multiface indexing of large workpieces and simultaneous 5-axis control for high-speed, high-accuracy machining. It comes standard with a 6,000-rpm spindle to facilitate heavy-duty machining of large workpieces, up to 2 meters in diameter and weighing up to 2.3 tons. The MCD1516-5XA adopts 0.1µm scale feedback and thermal-stability measures, such as the Makino Thermal Stabilizer and Thermal Chamber (optional specifications), to deliver higher accuracy and longer hours of continuous, high-quality machining. A- and B-axes provide 0.0001-degree indexing for high-accuracy, multiface machining and simultaneous 5-axis control. Looking to Purchase a New MAKINO MCD1516-5XA?